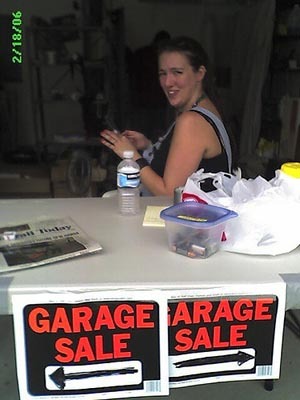 Bri must have sold about 75-80% of the items at the garage sale. Not bad for the first day. I sold much of my stuff too and went home later to bring by more stuff. It feels cleansing.